Asked about the paucity of shots he got during his five-game pointless streak (only five total), Jagr said, "I didn’t even get any scoring chances." Pressed about specific chances that he passed up looking for a pass, he conceded, "OK, when you don’t finish often enough, you lose your instincts. It takes a while to get them back." He also conceded that his self-confidence has waned. "Sure," he responded when asked about it. "I need to play my game. I can’t dump and chase the puck -- I don’t know how to do that. When my linemates send it up the ice, I’m suddenly on the other side of the rink. That wears you out a lot! No matter how well-conditioned you are. You’re flying up and down the ice without the puck. I felt like I was in an elevator -- up, down. I could conform. I could dump the puck in and chase it. But I’d be late. Seriously, without the puck I’m useless out there." At this point, Jagr is unsure where he stands for next season. "If they don’t want me on the team, what should I do here? Take out the trash?" he quipped. He is not even sure where he stands on the team this season. "If I don't play well, I’ll lose my position," he said. "But that’s normal." Asked if it’s like his days with the Penguins when he jumped on the ice when he wanted no matter what the coach said, Jagr responded, "Those times are long gone!" And looking ahead to the Rangers possibly opening next season in Prague, Jagr, who put in a good word for the event, said, "I have no idea what’s going on right now. It’s even possible that there won’t be one single Czech on the team next year." THE DARK RANGERS SAYS: Any player committed to a team does NOT reveal this. I admire his honesty but he is validating everything we are criticizing him of. He is the Captain of the New York Rangers and he is NOT instilling a confidence in the teammates. Ladies & Gentlemen, welcome to THE JAGR SHOW! 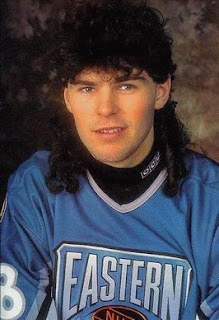 ALL JAGR, ALL THE TIME. 24/7. YOU'RE LOOKIN' AT IT KIDS FROM HARTFORD....ALL JARO-me OF IT! 1) No one in Pittsburgh or washington are stunned by this turn of events. When JJ isn't happy, its not difficult to tell. And there (hopefully) begins the slump and demise of the Rangers this year. Faux rumors, I would say the same about Lindros with the Flyers, who created a tension filled locker room resulting in poor performance but with talented players. You need a no nonsense, quiet leader wearing the C on the sweater, through whose actions show leadership. 1) FD: Sounds like you're talking about Yzerman/Sakic/Stevens, etc. fdarangers (a.k.a. 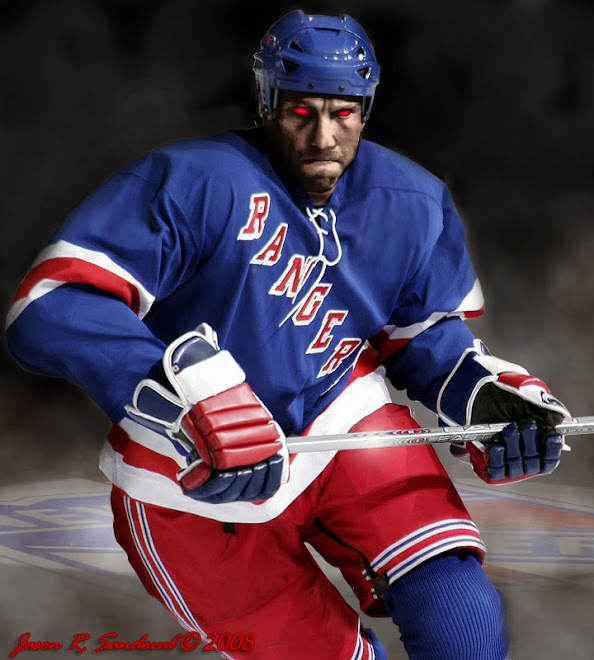 f**k 'da Rangers) is always welcome and I suspect is also the same as The High Flyer - a Philly hockey fanatic. Welcome. scotty...watch Jags tonight - he will freeze up and disappear - the rest will follow. We need this one - Avery and shanny (possibly) out tonight. I like our captain when he arrives on the ice to PLAY the game. Not sure where he is lately. Faux...don't EVER compare our Blueshirts to one of those on the Island -- if you do so, we might get some good coaching tips. lol. Jagr aside, looks like both Washington and Pittsburgh don't need Jags this season to hit the pits.